Girl Power | Girl Power Events! Free and Fun! GIRL POWER - ITS FREE! GIRL POWER inspires greatness in all women! Attention Ladies!! Our next Girl Power event is April 27th in North Bethesda, MD!! (Pike & Rose). This means 2 Floors of Free Food, Free Wine, Free Massages, Free Beer, Free Dessert, etc. 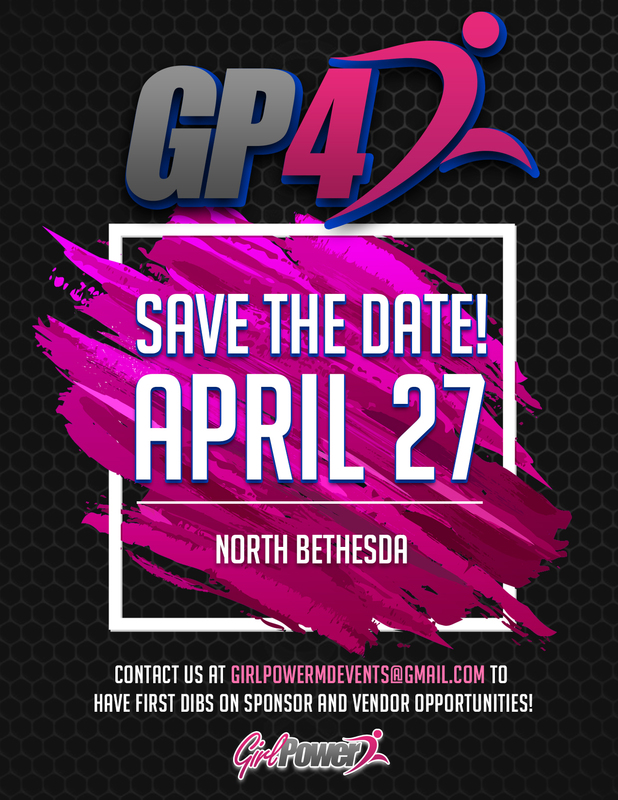 GP4 will feature activities such as Yoga, Zumba, Cardio Boxing, Bootcamps, Axe Throwing, and more. Vendor Stations will be open to attendees for the entire event. Being a vendor is a great way to build excitement for your business among this dynamic group of women in the community. Starting at just $225, vendor spots are going fast! In response to popular demand and in order to ease load in/set up, we have decided to INCLUDE your vendor set up with the vendor fee - this includes one 6' table and two chairs (hence the increased vendor fee of $25). Clicking “Sign Up!” will redirect you to our Paypal processor. We will only accept one representative from each direct sales company, and your place is not guaranteed until your payment has been submitted. © Power Girl Event 2018.